The Johnson Adventure Gamestalker is a perfectly sized knife for outdoor enthusiasts. The 440A stainless steel blade features a full belly curve and modified Bowie style. 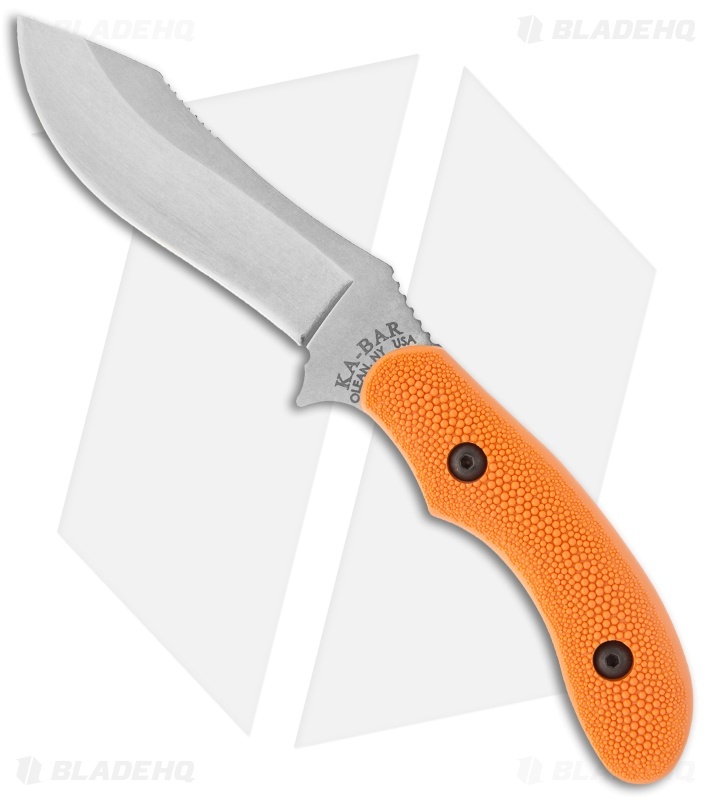 The textured orange scales are a great touch on this knife. 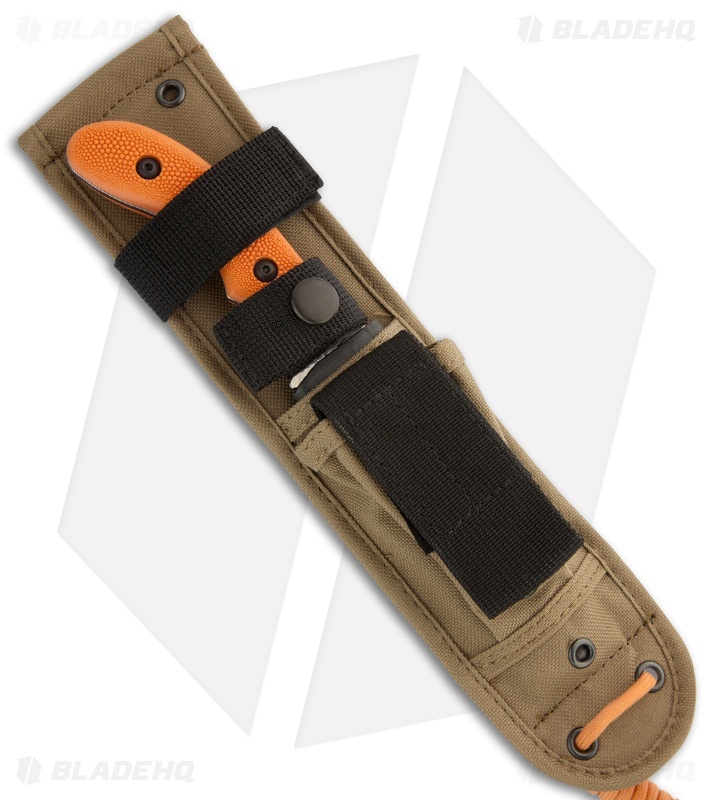 The Gamestalker comes with a brown nylon sheath.